MB Catalogue: M&D - What Should I Wear? M&D - What Should I Wear? 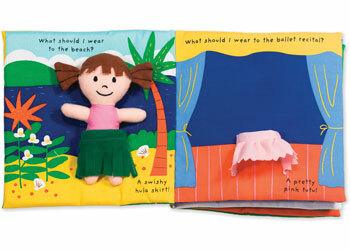 What should dolly wear for a beach trip, a dance recital, or a snowy day? 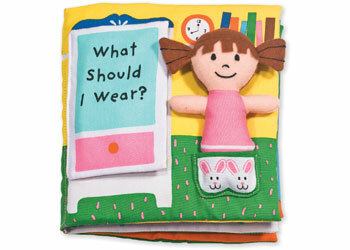 Move her from page to page in this crinkling, lift-the-flap, dress-up activity book to find the perfect outfit for any occasion. 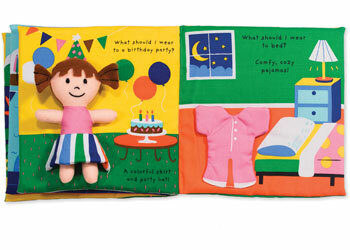 Melissa & Doug K's Kids cloth books are durably constructed to last through story time, playtime, and the washing machine too!